Hello, backers. Obsidian has some very exciting news! 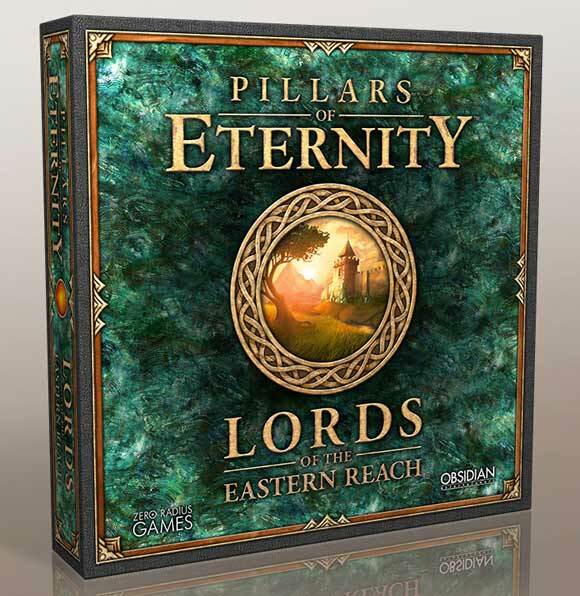 Today marks the first day of a brand new Kickstarter for the Pillars of Eternity card game, Lords of the Eastern Reach. 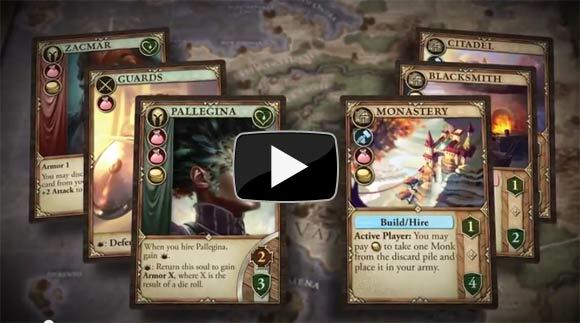 Lords of the Eastern Reach is a strategic card game of adventure and empire building based on Pillars of Eternity. You must protect and build a city. Hire heroes and troops for defense or to delve into dangerous dungeons for loot and glory. Build towers, blacksmiths and other buildings to gain the advantage and go for the win. The game is designed for 2-4 players and takes about 20-30 minutes per player. This gives the game a substantial feel while still being able to fit a game in on a work night. Turns are very interactive, with players being able to perform actions like building and hiring on other players' turns. No more sitting around waiting for your turn to come up! The original video game development team was actively involved in its development. 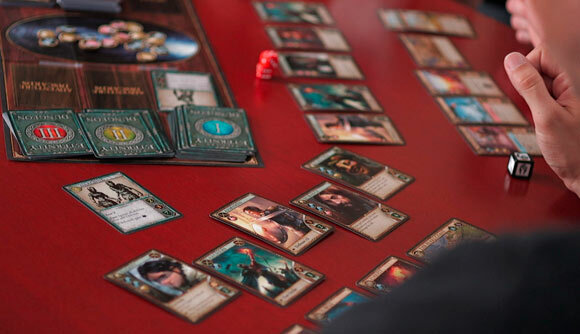 The design of the card game was done by game industry veteran Chris Taylor (Lead Designer, Fallout) while much of the game's development was done by Obsidian's own Scott Everts and John Lewis. Lords of the Eastern Reach also features artwork created by Pillars of Eternity artists such as John Lewis, Kaz Aruga, Polina Hristova and more. 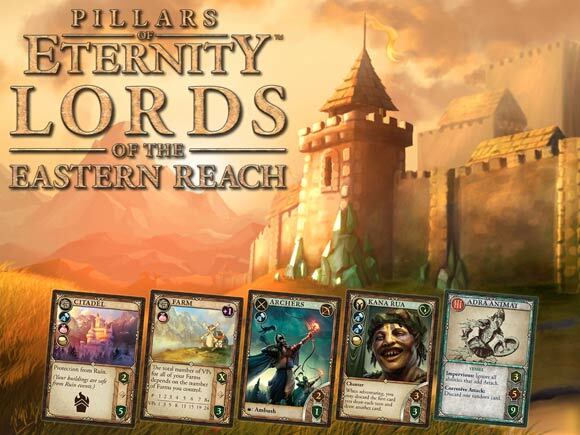 If you are interested check out the video above where Feargus Urquhart and Chris Taylor go into the basics of the card game and talk about the Lords of the Eastern Reach Kickstarter in more detail. If you would like to back and get your hands on your own copy, head over to the game's Kickstarter page and donate. Is this why our CDs and physical boxes havn't been shipped yet? You're more interested in hawking new stuff rather than giving the goods your higher paying pledgers paid for? The DVDs have been pressed and the addresses have been sent to the shipping company. DVDs should be arriving in the next week or two. It's a status update, dude. This isn't even being made by Obsidian. If you had paid attention, you would know that the DVDs would arrive at a later date. Good luck with your Kickstarter. Card games aren't really my thing, but I'm sure there will be plenty of card game supporters around. In the pitch video, when the word "balance" is said by the narrator, Josh Sawyer's face is shown. Interesting. I've always enjoyed card games, but there's not a large gaming population near me so I probably won't buy them myself. dad gum, i got an email at like midnight my time and just checked the link 3 hrs later and you guys are fully funded and almost at the 3rd stretch goal! Its interesting how PoE is a BRAND right now. As a brand I am sure we will see a lot more games and "merchandise" and things with the PoE Brand in the future. Maybe I will pledge this card game if there will a language localization. (And I am sure there will be one). Good luck to the project. Another thing I forgot: There are mentioned 16 hero cards... Is this a hint for 8 new heroes (companions) for the expansion(s) of PoE crpg? Agreed. I really want them to build a P&P game that can rival the big boys, along with a few books. This franchise has a lot of potential. Edited by bonarbill, 29 May 2015 - 01:54 AM. Its interesting how PoE is a BRAND right now. As a brand I am sure we will see a lot more games and "merchandise" and things with the PoE Brand in the future. Is there a possibility to support via PayPal? I can't use Kickstarter (except for laborious workarounds) as I don't have (or usually need) a credit card. Edited by Varana, 29 May 2015 - 02:21 AM. Will there be any localizations? They already reached their goal and could enable PayPal, so yes. Btw, I pledge on KS using my debit card. I remember it didn't work for me way back in 2012, but now the payments typically go through without issues. I'm not sure what changed because I didn't talk to my bank about it... But I'm not complaining. Edited by Rosveen, 29 May 2015 - 02:47 AM. Looking forward to kids buying this and financing a proper Pathinder CRPG. I want to back the game, but I already have the listed digital rewards from the PoE kickstarter. So the decision between $39 and $59 will be entirely about the physical component improvements. Can you provide more detail on them? Its interesting how PoE is a BRAND right now. That was.... always the plan?